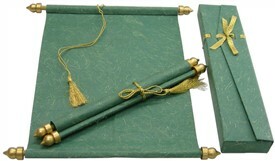 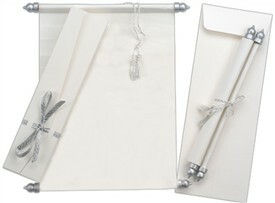 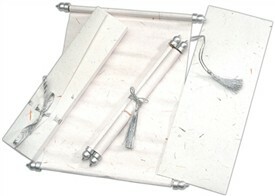 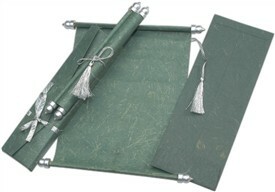 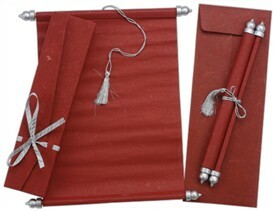 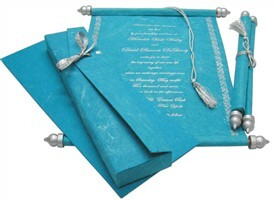 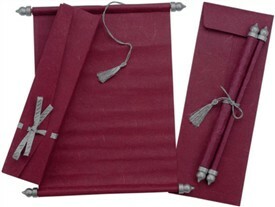 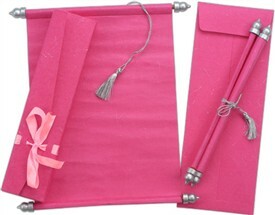 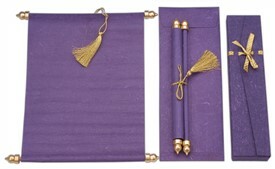 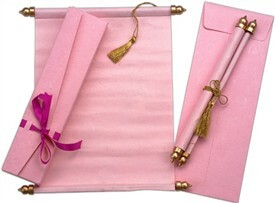 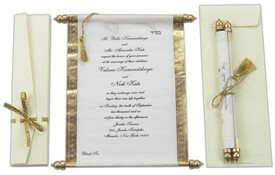 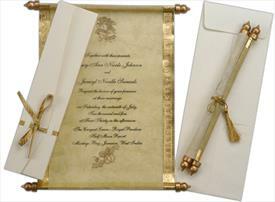 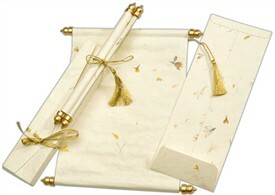 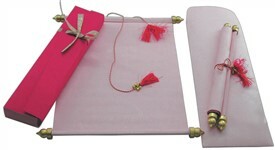 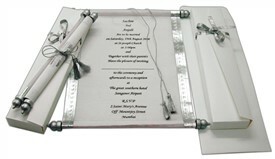 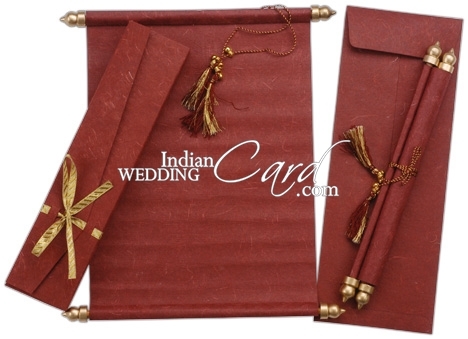 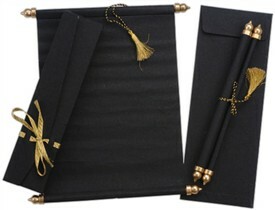 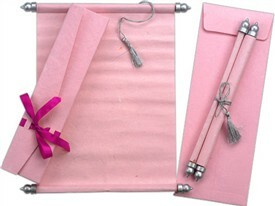 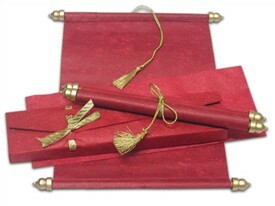 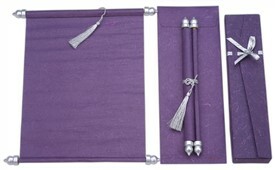 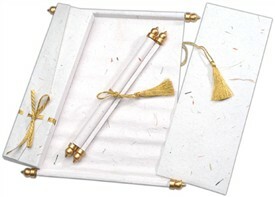 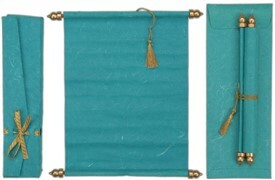 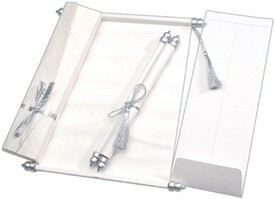 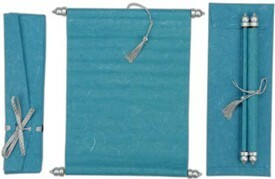 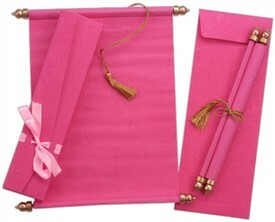 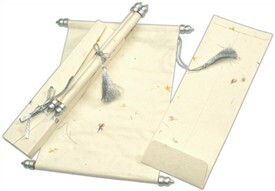 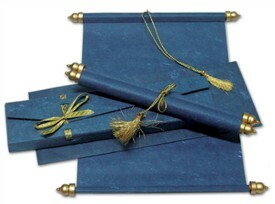 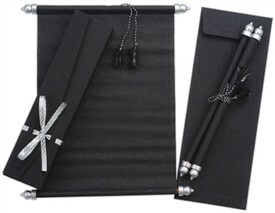 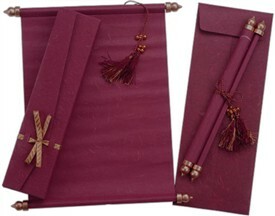 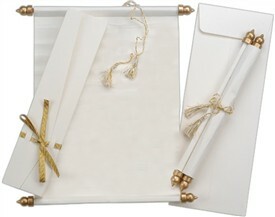 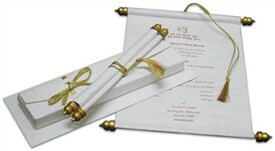 Description: This scroll card has golden frame bars and golden zari tassel. 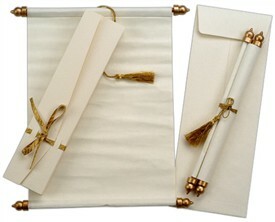 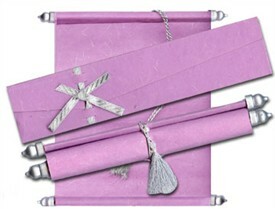 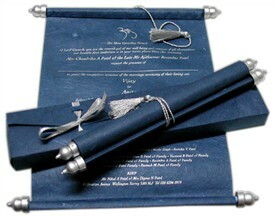 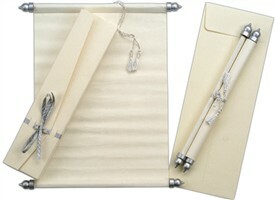 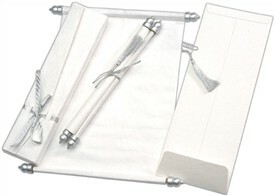 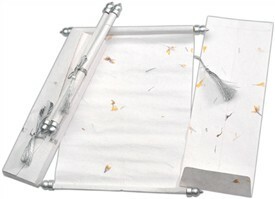 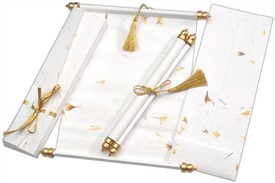 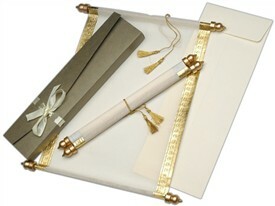 The box has a gold colored zari ribbon to carry on the color theme. 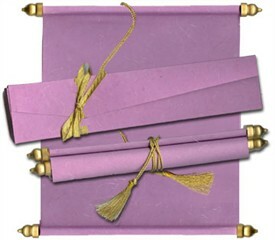 The envelope is plain.